Venezuela: What Does a Victory Mean? With 99.12% of the votes counted, and a voter turnout of 78.71%, the numerical results of the Venezuelan presidential elections were much closer than anyone anticipated, though the final political result was as expected: Nicolás Maduro won 50.66% of the votes (or 7,505,338 votes), while the opposition candidate Henrique Capriles Radonski lost with 49.07% of the votes (or 7,270,403 votes). I tried to reconfirm these figures by checking the website of the National Electoral Council (CNE), but it seems to be down. Whether or not this is due to denial of service attacks is not clear, but yesterday as the polls neared closing time several government websites and the Twitter accounts of Maduro and other government officials were hacked or taken offline by right-wing hacktivists known as LulzSec. The immediate reaction of the losing candidate was to refuse to recognize the results and to demand a complete recount. That reaction was also expected: for most of the voting day, Capriles spent his time disgorging tweets that called into question the legitimacy of the vote counting process, threatening destabilizing action, and calling on supporters to protest the results. Even before the voting had ever begun, Capriles refused to sign a CNE document that he would recognize the results, and his chauffeur was recorded as saying that his boss would refuse to recognize the results no matter what–lo and behold. Moreover, details have been published concerning an opposition plan to immediately spark unrest over the anticipated electoral victory of Maduro, the plan titled “Operación Relámpago” (Operation Lightning Bolt). Even without the opposition protest, the CNE had already conducted an automatic audit of 54% of the votes, and to this point stands by the results. The head of UNASUR’s observer delegation called for the results and the process to be respected by the opposition. Nothing has changed to make Venezuela’s electoral system anything less than the fairest and best in the world, as already acknowledged internationally. 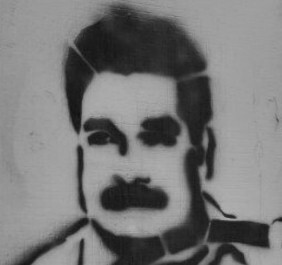 In the meantime, Nicolás Maduro is still scheduled to be sworn in as the new president on April 19. Various Latin American leaders have already sent their congratulations and praises to Maduro, in the early hours of this morning. Beyond these immediate results, many questions will need to be asked and there should be quite a few contrasting interpretations to come over how, with what was at the very least expected to be a massive Chávez sympathy vote after his March 5th death, following last October’s elections which saw a greater turnout and a Chávez victory by a 10% margin, and given all of the social and economic achievements of the working class under the ruling United Socialist Party (PSUV), there could be this slide nearly toward victory by the white aristocratic elite. It will mean considerable unsteadiness for Maduro, even though he faces what one might think is the more cheerful task of building from a position of victory, and with the plenitude of state resources at his disposal, while Capriles tries to rescue himself from defeat. (Nonetheless, by U.S. standards, this could still be judged a decisive victory). That Capriles seemed absolutely convinced of his victory however, well before all votes had been finally cast, let alone counted, is also very suspicious. His behaviour resembles that of Mir Hosein Mousavi in Iran’s 2009 elections–affirmations of victory without any evidence presented, and protests of a stolen election also without the support of any evidence. The extent to which the U.S. interfered in these elections will also need to be investigated, along with any dirty tricks campaign by the Venezuelan opposition. That the U.S. may now exploit this opportunity to attempt to delegitimize Maduro’s victory is likely. Clearly, all of the opinion polls were wrong, nobody has any firm answers about the reasons for the close results, and an immediate struggle is underway. One of the questions that I have, in part inspired by the work of political scientist C.B. MacPherson, is the extent to which a liberal democratic structure can properly serve the aims of radical social transformation and anti-imperialist praxis, in contrast with the democratic one-party state. As we go forward, I will be looking for the insights of those experts with long-standing ties to Venezuela, with insights gained from years of research, and who are not hostile to Chavismo as such, for an understanding of whether some or any of these issues are reaching a climax: a) internal factionalism and behind-the-scenes contests for leadership; b) clashing views of the next stage of revolution, some preferring more radical socialist programs; c) the degree to which Chávez’s massive persona might have diminished Maduro by contrast; d) the perhaps unsatisfied demands of parts of the network of social movements that sustained Chávez in power, and other issues. In what were often misunderstood statements outside of Venezuela, Chávez was wont to say that he was not a person, but a people. This may have been a very candid admission: it was the broad mass of popular discontent that was the surge behind his first rise to power in 1998, and that wiped out what were then Venezuela’s traditional political parties, and it was this mass movement that rescued Chávez from the 2002 coup. They made Chávez, but I am not sure if they feel that they equally made Maduro (although Maduro himself emerged from that very movement)–it’s a question, like much of everything else above, not an assertion. The question of symbolic power may be quite significant: the problem in trying to focus, galvanize, and cement identification with Chávez’s all too massive legacy, in order to use it as a focal motivating force for a broad and diverse array of movements, without it also serving as a reminder that, yes, Chávez really is gone. The fact that Chávez’s legacy has now become hegemonic is attested to by the fact that one of the fights in this electoral contest was over who could best serve and represent that legacy, with Capriles (however dishonestly) claiming that he would maintain the bulk of Chávez’s social programs and was better qualified to uphold Chávez than that “kid,” Maduro, who felt the need to constantly call himself “the son of Chávez.” Either way, Maduro is going to have to work very hard to do much more than sing the praises of the Commander and Bolivarian socialism, and undertake the toughest tasks of expanding the realities of social transformation. He knows that already, and I wish him the very best and add my own humble congratulations to him on his victory. So, I was wondering; what government is Capriles’? A Cuban physicist in Havana once told me that the problem of installing a truly rational socialist government in Latin American nations is that the people, tradtionally, look to a caudillo to lead them; a charismatic leader becomes almost deified if he does not stumble. St. Hugo the Baddy did NOT stumble. How can a mere bus driver measure up? Thanks very mucj John, very good points on both counts. That Capriles has no fundamental respect for democracy is obvious from his statements. However, what makes things more complicated is your second point, and then my question as to whether liberal democracy is really the model that they want. As for Maduro’s stature, and not to play divisive games, I would like to find out why Diosdado Cabello would not have been the more obvious choice of candidate, and whether or not the PSUV membership got to vote on having Maduro as their party’s candidate.